It’s undeniable that Australia has a wealth of live theatre talent, with works by our world-renowned playwrights produced regularly for keen audiences in major cities around the country. It’s also undeniable that the ‘tyranny of distance’ within Australia means that many who would love the opportunity to see these performances are simply too far away. 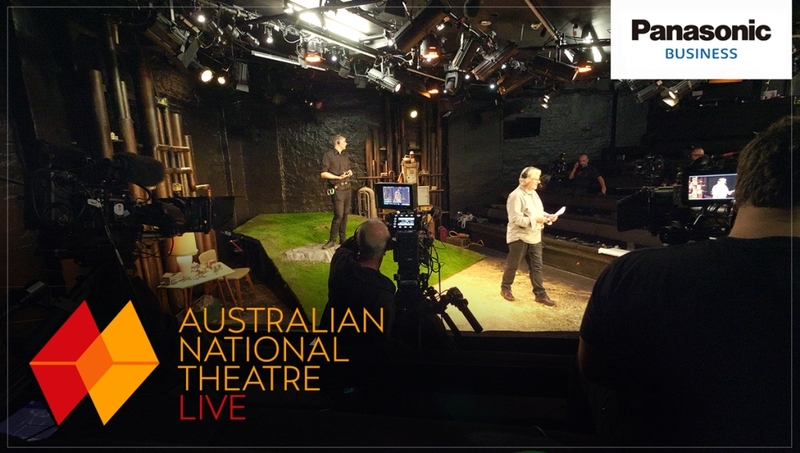 Seeing this demand, the team from Australian National Theatre Live (ANT Live) is capturing these terrific live performances with the latest camera technology and sharing them with a wider audience, supporting their distribution and screening in cinemas around the country, including rural and regional Australia. 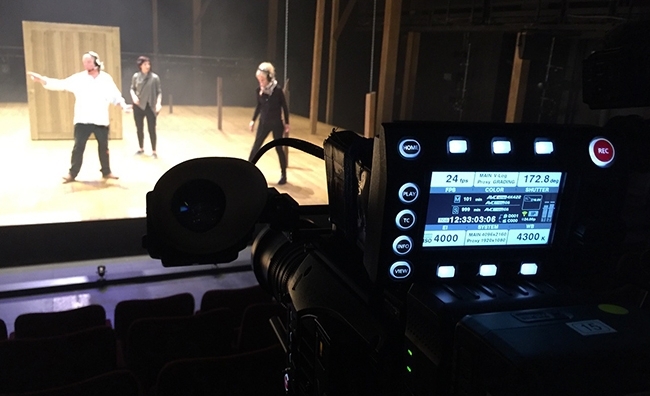 Most recently Panasonic Varicams and DC-GH5 cameras were used to capture two iconic plays, destined for cinema showings locally and potentially internationally in 2018 – Michael Gow’s ‘Away, and Katherine Thomson’s ‘Diving for Pearls’. The ANT Live team is Logie-winning Australian actor Grant Dodwell; actor, writer and producer, Raj Sidhu; and Peter Hiscock, a film and television producer with many years experience. ANT Live has negotiated agreements with theatre companies, writers, actors, unions, broadcasters, arts centres and cinemas around the country to film, produce and distribute high quality digital content featuring our best writers and performers. 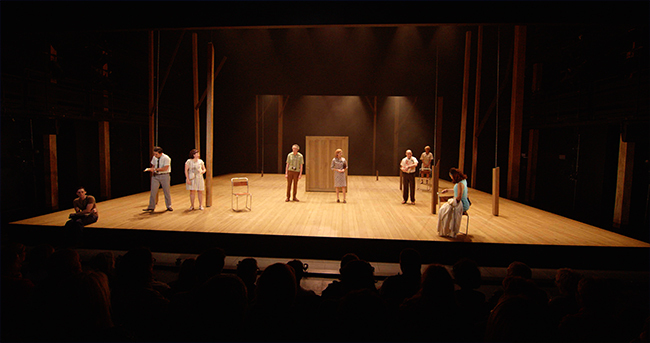 Although technology may have progressed in leaps and bounds, the team still faces the challenge of setting up and shooting a feature-length production in a tight window to fit within a theatre company’s existing performance schedule. ANT Live treats the whole project like shooting a feature film, only in a day. In every sense it is a theatrical performance being filmed, so they capture it with an audience, just like a regular production. ANT Live also acknowledged the role of rental houses Lemac and Videocraft in providing the equipment and vital pre-shooting technical support needed to bring ‘Away’ and ‘Diving for Pearls’ to life. 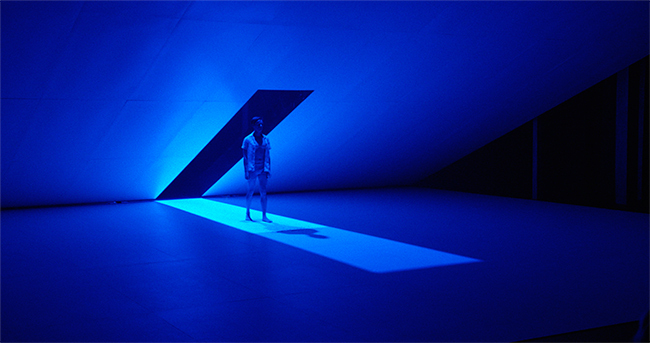 Influencing the switch to Varicam for the two productions was the fact that the ANT Live team were spending a lot of time on colour grading because some of the large sensor cameras previously used had different responses to the LED lights that are used in theatre. In addition, some models didn’t shoot continuously for longer than 30 minutes. Experienced Australian cinematographer Con Filippidis was Director of Photography for ‘Away’, leading a talented team of camera operators – David Richardson, Aldi Godjali, Noel Evans and Louis Puli - shooting on two Varicam 35s and three Varicam LTs, with LUMIX GH5s used for locked off shots. Fujinon Cabrio lenses were used on all the Varicams. Con was also camera operator and Varicam consultant on ‘Diving for Pearls’, working with DoP Paul Howard. Con had shot theatre performances in the past, but usually with 2/3rd inch cameras and nothing to the scale or quality of ‘Away’. 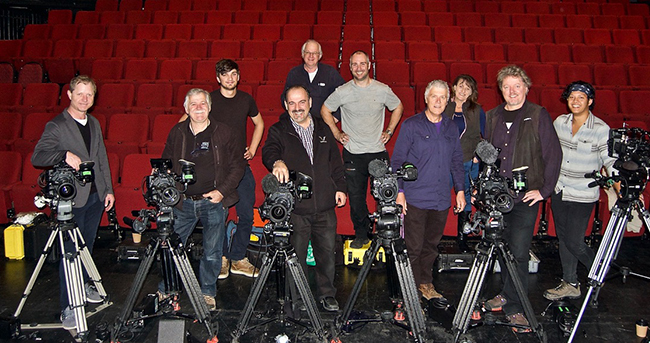 He believes the primary benefit of shooting with the Varicams is their outstanding low light performance, which allowed the operators to capture the original lighting design of the theatre production. The GH5s shot in VLogL (lite), which was an excellent match for the Varicams shooting V-Log. All cameras were shooting DCI 4K 4096 x 2160 @ 24p for cinema release. Internally the Varicam35 cameras recorded 4K (4096×2160) AVC-Intra4K444 files, the VariCamLT cameras recorded 4K (4096x2160) AVC-Intra4K422 files and the DC-GH5 cameras recorded 4K (4096x2160) MOV 10-bit 422 files.